Gantry Robots feature space saving design. Combining ceiling-mounted SCARA robot with long-stroke Cartesian robot, 4-axis XR-Series can operate in many applications without need for conveyor. Units have reach of 200-300 mm and X-axis stroke of 850-1,660 mm with cycle time of 0.53 sec, repeatability of Ã‚±0.015 mm, and payload capacity of 3 kg. Highlighting the important reasons supporting the deployment of robotic automation technology in the manufacturing sector, this paper presents robotics as a contributor to improving manufacturing efficiencies. It reviews the gradual shift from an industrial to a service-based economy, resulting in technical labor shortages, while detailing the benefits of using robots. The latest robot models handling material faster and more accurately than a human, at an affordable cost for the small to mid size business are featured, and the easy and inexpensive customization associated with robots, as well as energy savings is mentioned. The paper also covers numerous robot applications in the wire industry, and includes a chart showing robot sales accounted by the North American robotic companies. 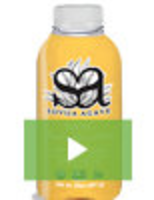 Inverted SCARA Robot targets packaged goods market. Impervious to dust, dirt, and liquid, Cobra(TM) s800 Inverted IP65 SCARA Robot brings high-speed handling to case and carton loading applications. System is suited for mechanical assembly, material handling, packaging, machine tending, and screwdriving operations. Robot supports options such as conveyor tracking, vision guided motion, auxiliary servo axes, and general machine control. 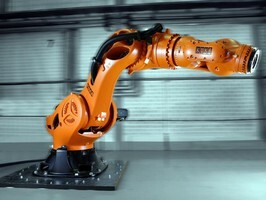 Industrial Robot offers 1,000 kg payload. 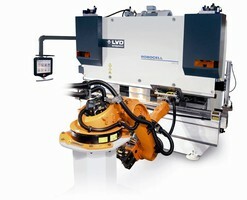 Robotic Bending Cell offers mid-level automation.